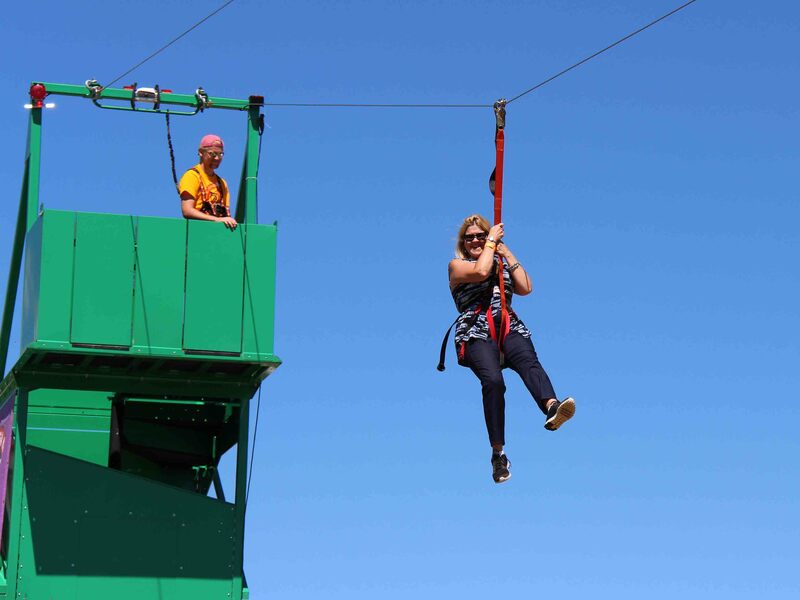 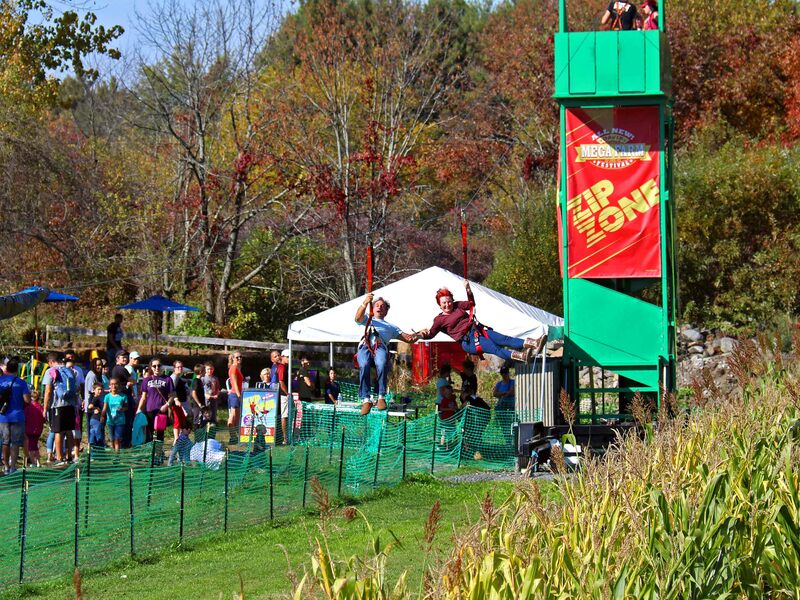 The Zip Zone Zip Line at Davis Mega Farm Festival is over 200 feet long and 3 stories high. 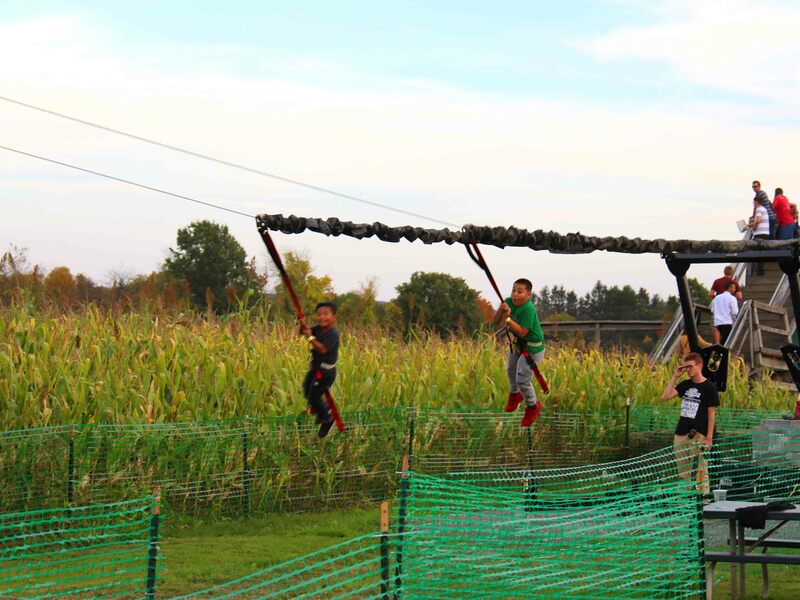 Sure to enthrall you as you zip by the entrance of the Mega Maze at speeds of up to 21 MPH and zip into high-tech compression springs, then lowered to the ground safely by an all-new high-tech decelerator. 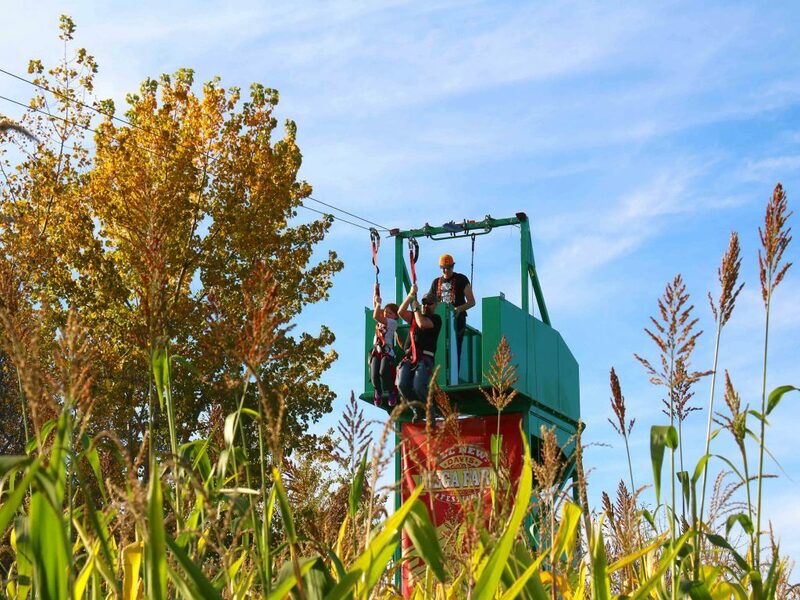 *Riders must weigh between 45 and 250 pounds, riders must be 5 years or older, rides are non-transferable or refundable.